Smooth wrinkles, increase collagen and plump up facial lines with Radiesse filler treatments at MyBotoxLA. 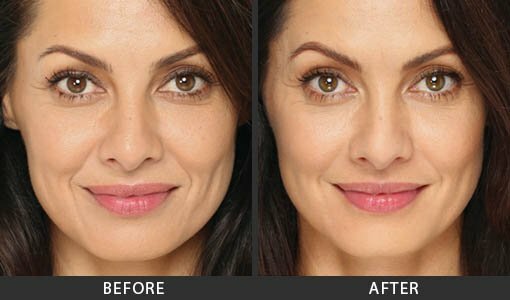 Radiesse is injectable dermal filler designed to add volume to aging or thinning skin. 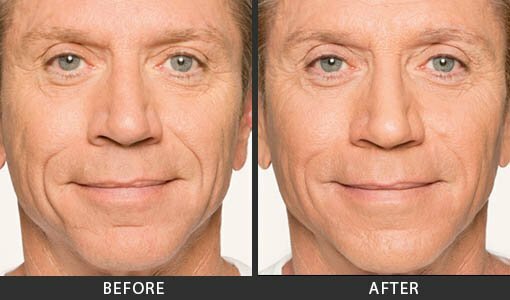 It fills in moderate to severe smile lines, marionette lines, folds at the sides of the chin and facial wrinkles. Radiesse boosts the production of collagen in treated areas, helping your skin restore its youthful luster and fullness. Call us to find out more about Radiesse Los Angeles patients love. "My friend recommended me to a specialist named Yana who did a wonderful job! I had a very pleasant experience because she is very knowledgeable and professional. I was really scared, but she knows her stuff and everything was really quick and easy and I LOVE the results. Will be back"
"Yana was truly amazing and an expert in what she does and yet so sweet and makes you feel comfortable love the experience from her she is truly truly the best ....thank you"
"I was a first time client by recommendation, walked In and was greeted with such enthusiasm I felt right at home. Yana was exceptionally professional and extremely educated, she answered all questions and had excellent professional advise. She was so gentle I did not even bruise after. I highly recommend Yana and my botoxla for all procedures." A little known area of the face that can make a big impact on the way we look is the pre-jowl area, or the pre-jowl sulcus, which is the area on either side of our chin. Facial volume loss associated with the aging process results in sagging of the skin in other facial areas, and leaves the pre-jowl area hollow. The corners of the mouth, also known as the oral commissures, can turn downward as you age and lose volume below the mouth. This downturned appearance of the mouth can make you look like you are frowning or even mad. In addition, volume loss in this area often leads to the formation or the deepening of already-formed marionette lines. Radiesse contains calcium microspheres, which are similar to natural minerals in your body. After injection, your body absorbs these harmless particles, leaving only skin-renewing collagen. The collagen pumps up thinning skin, reducing lines, wrinkles and firming jowls. Collagen and elastin keep our skin moist and supple, but they break down as we age. Radiesse helps rebuild this underlying structure, plumping up skin immediately and aiding future collagen growth. Radiesse injection reviews from patients and medical providers on Realself and other sites show satisfactory ratings for Radiesse treatment on nasolabial folds (smile lines), chin wrinkles and sagging jowls and cheeks. If you have loss of skin volume due to aging or weight loss, a Radiesse injection can help restore fullness and make you look younger. If you're worried that dermal fillers will make you look stiff or plastic, try Radiesse. It will give you beautiful, natural results. On average most patients can experience results that last a year to a year and a half. Are there any side effects to injections? The filler is a safe and virtually pain-free treatment. You may experience mild side effects, such as tenderness, bruising, itching, redness or swelling. These side effects usually last a short time. Discuss any concerns you have with us. Is there anything I should let you know before treatment? Tell us if you take blood thinners or medication that interferes with blood clotting such as aspirin or warfarin. These medications may cause you to experience bleeding or bruising at the injection site. Can I resume normal activity immediately after the treatment? There's no downtime after a treatment, but you will need to avoid applying make-up and minimize sun and heat exposure for the first day after the injection. You'll also need to refrain from facial movement or massage in the treated area for 24 hours. 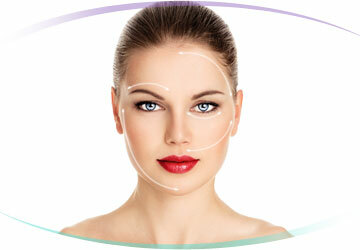 How is it different from other dermal fillers? It is made with calcium-based microspheres to increase collagen production. A study published in Dermatologic Surgery in 2008 showed that the calcium hydroxylapatite filler in Radiesse stimulates natural collagen production, and continues to do so long after treatment. Surveys indicate that Radiesse patients prefer it over Restylane and Perlane for treating wrinkles. It breaks down over time, but unlike some other dermal fillers, it continues working after it has absorbed into your body. It's completely safe and biocompatible, so there's no need for allergy testing prior to treatment. The treatment takes place in our office and requires no preparation time. Most patients are treated and ready to go within an hour. Our practitioner injects Radiesse (pre-mixed with Lidocaine for comfort) under your skin. Since Radiesse is mixed with Lidocaine, you'll experience fewer side effects. Ask us about the cost of treatment during your consultation. The final cost depends on the severity of your wrinkles and facial folds and how much dermal filler will be needed to treat it. What parts of the face can be treated with Radiesse? - Marionette lines, which run from the corner of your mouth down your chin. These lines get their name from the moveable jaw lines on a marionette puppet. - Smile lines, or nasolabial folds, start at the corners of the nose and go down to the corners of your mouth. - Mouth corners, also called the oral commisure, can have an angry or frowning appearance if there are grooves that run from your bottom lip and turn downward on the side of your chin. - Chin wrinkles are horizontal grooves between the lower lip and chin. They give the chin a sagging, pouting appearance and detract from your smile. - Pre-jowl folds are the areas to either side of your chin, which thin and sag due to aging and loss of elasticity. How soon will I see results after the injection? You'll notice smoother skin and a reduction in wrinkles right after treatment. Full results appear in a week. 1 Berlin A, Hussain M, Goldberg D. (2008) Calcium Hydroxylapatite Filler for Facial Rejuvenation: A Histologic and Immonohistochemical Analysis. Dermatologic Surgery, Volume 34, S64-S67. 3 Bass LS, Smith S, Busso M, McClaren M. (2010) Calcium Hydroxylapatite for Treatment of Nasolabial Folds: Long-Term Safety and Efficacy Results.